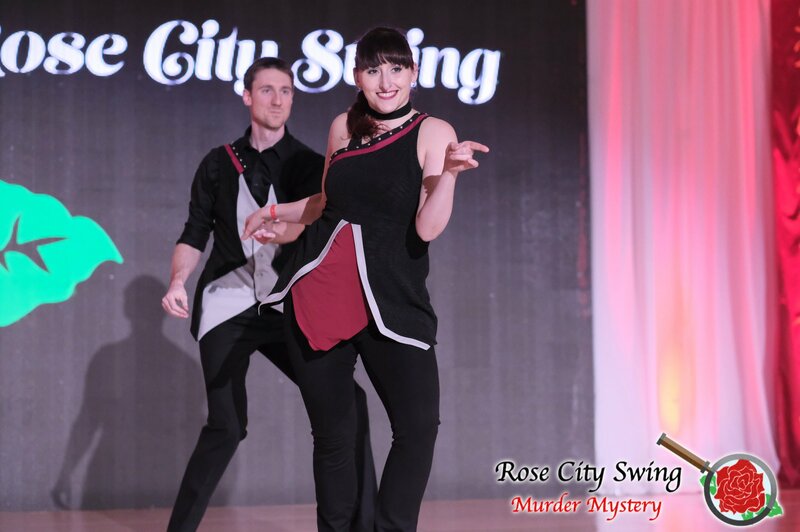 Are you curious about what it takes to do a Rising Star routine? Are you an event director interested in supporting and promoting the next generation of routine competitors? What is the purpose of the tour? What rules do competitors need to know? What rules do events & judges need to know? What prizes do the tour winners win? 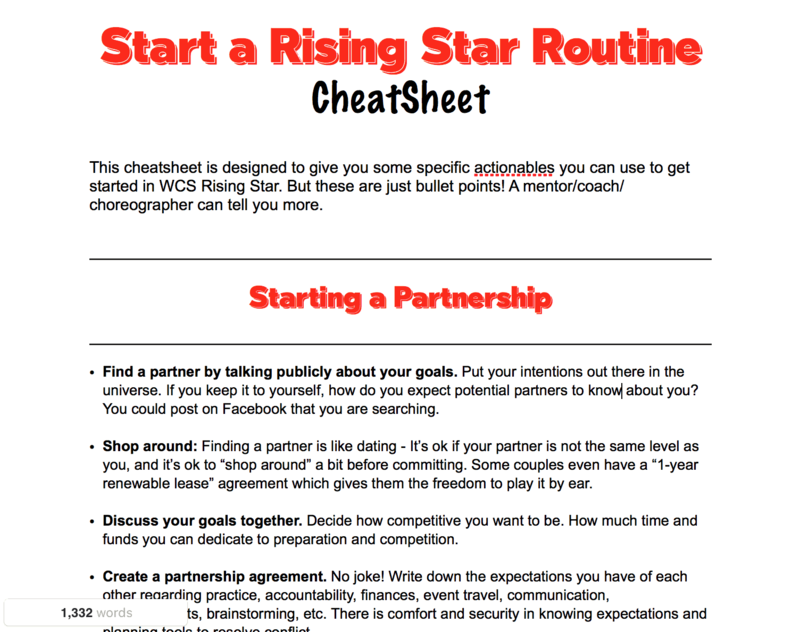 How do I start a Rising Star routine? 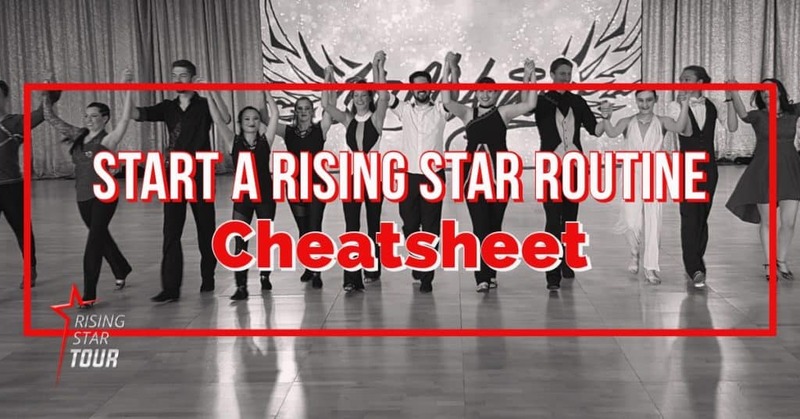 If you want a specific set of directions on how to start a Rising Star Routine, be sure to read to the end to get the free downloadable guide. Rising Star Tour Champions, 2017. 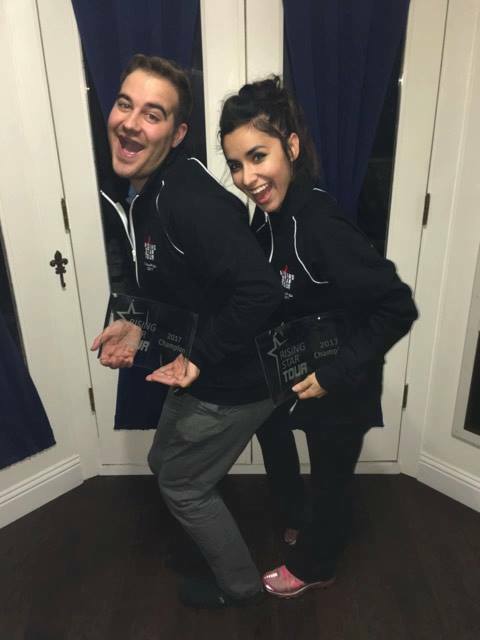 US Open Rising Star Champions 2016. 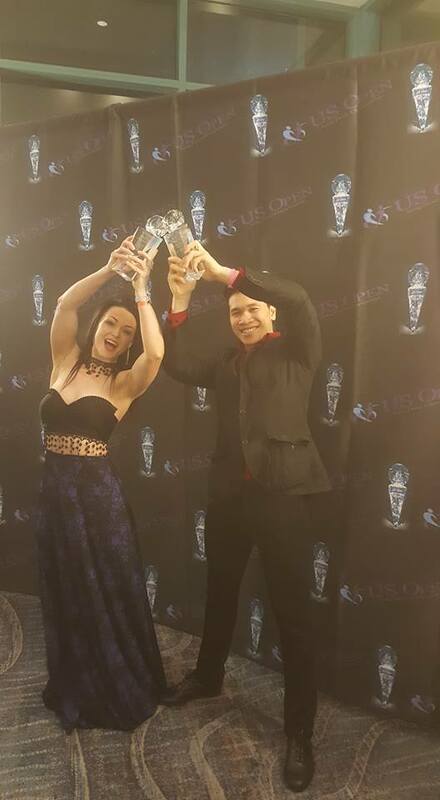 1st international couple to win an Opus. CC: What level were you in when you started dancing in Rising Star? What was your motivation to start competing in Rising Star? What was your goal going in? A&K: I started when I was in Advanced and Kali was intermediate. We both agreed before going in that we wanted to be pros one day, and traveling champions. I was always athletic and strong and wanted an opportunity to perform strength and balance-based tricks that were not appropriate for JnJs. I wanted to feel like I was “good enough” first, but I had no idea that J&J skillsets were largely different from routine skillsets and that there was no need to wait. Who should compete in Rising Star? Do I need to be a certain level? Those in higher level divisions with goals of building a dance career should definitely be pursuing Rising Star. There used to be a limit to how long AllStars can stay in Rising Star, but that was quickly removed in 2017. Anyone who has Champions points in the last 10 years or who has placed in Classic or Showcase is ineligible. A&K: We chose each other because we were already so close we had been friends for 6 years, and had the same goal. When it came to music we just listened to a whole bunch and gave our choreographer the idea or direction we wanted to go in. When it came to choreo we went with benji, we figured if we want to eventually be the best might as well learn from one of the best choreographers. A&J: Alpha and I had been regular practice partners for 5yrs before we did our first RS routine. We chose a few songs and sent our top few favourites to Myles & Tessa – they picked Uptown Funk from the list and mashed up a version that made it fresh. M&T always did our choreo. What’s the purpose of the Rising Star Tour? 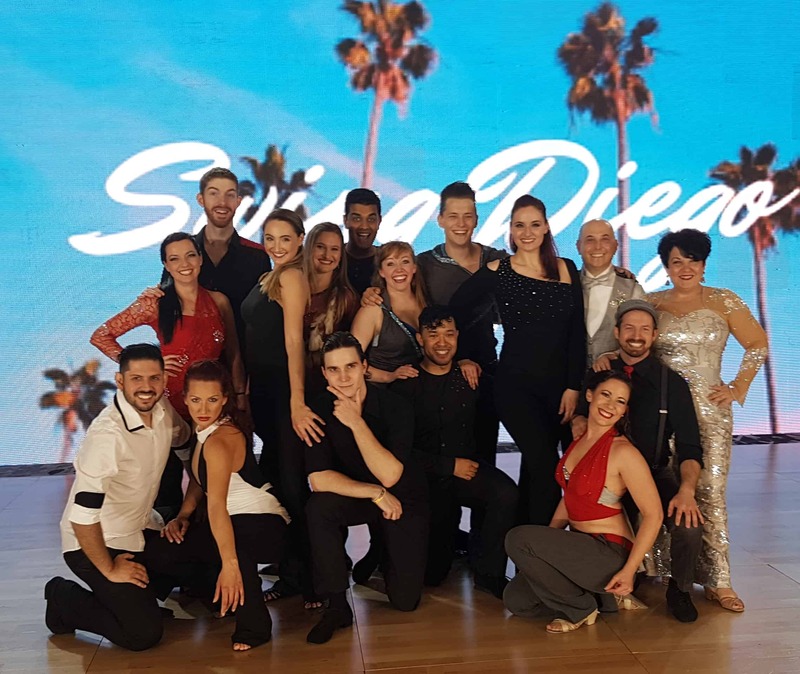 Classic and Showcase have been around for a long time, but they are full of full-time professional dancers competing at the top level. 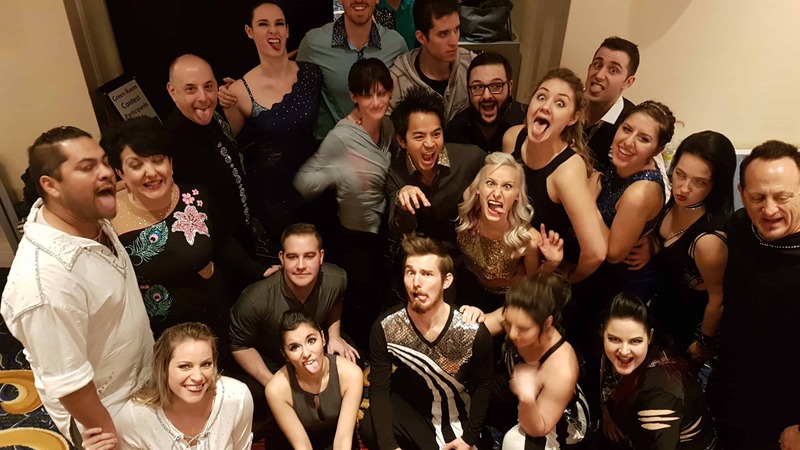 The next generation of routine dancers were too intimidated to try competing with a routine in a division they considered “out of their league”. 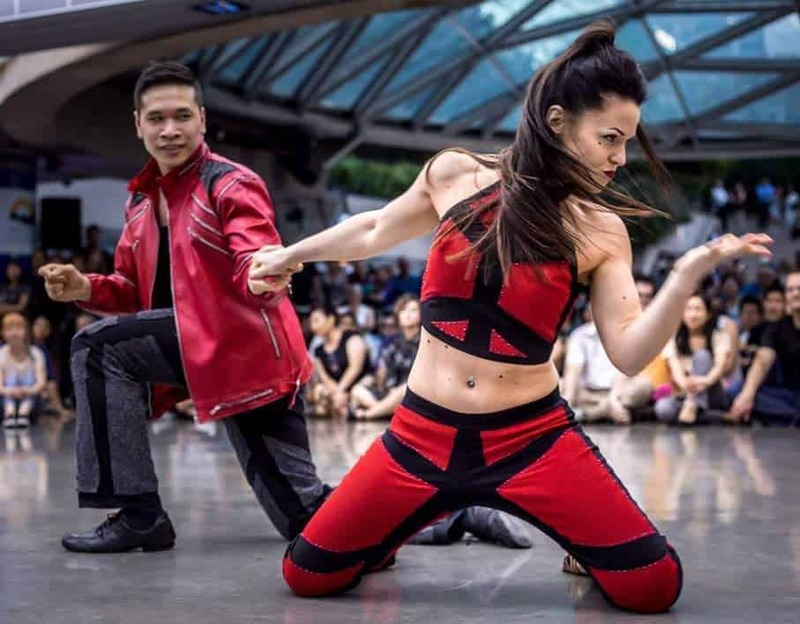 Many community leaders realized that in order to feed Classic and Showcase and develop routine dancers at the grassroots level, there needed to be a division for the up-and-comers to get their feet wet with choreography, hone their performance skills, and build their reputation. Then once they develop their skills in Rising Star, they would transition easily into Classic & Showcase divisions. For several years, there were a few events that offered Rising Star division, but they were intermittent and inconsistent: the rules differed between them, creating confusion for the competitors. There had been attempts to organize a Rising Star Tour in the past, but never came to fruition. Finally, in January 2017, a few supporters banded together and created a structure that prioritized the needs of the competitors and served to provide a framework to build and support a global Rising Star generation. The RST Committee worked together to lay down a set of rules that provided the competitors structure to grow within. We did not make any decision without carefully considering the pros and cons of each rule. The committee is VERY open to feedback, and is committed to being flexible to adapt and evolve as the needs of the competitors change and as the WCS scene changes. Events were quick to jump on board, and competitors worldwide were inspired to start routines! Tour events now report their scores to the Tour so points can be calculated and top 3 points-earners rewarded at the end of the season. A&K: We 100% went over budget. We didn’t realize the cost of floor fees and the amount of practice that had to go in to the routine. We practice 4 to 5 days a week for anywhere between two to six hours. We commissioned our costumes, which was a lot of trial and error. A&J: We started by setting a debut deadline, and committed to practicing ~20 hrs per week (at our gym) for 7 weeks to prep for the debut. Our only goal was to not embarrass ourselves! We didn’t get any coaching before our debut because we were mostly focused on just being able to memorize and execute the routine at all…..which, looking back, we don’t recommend. For our first routine, neither of us had any idea about fitness, nutrition, sleep schedules, conflict resolution, so we winged it (very inefficiently). We were however, super happy with our commissioned costumes! Who serves on the Rising Star Tour committee? CC: How did you decide how many events to attend and which ones? A&K: We looked at how many places we were going to go and which ones had a Rising Star division. Since we started before the Tour was established, we had to make sure we read the rules in advance, which was always complicated. We didn’t build our first year around the routine, but our second year with Enjoy The Ride we did. A&J: Before we agreed to do the routine, we got together to negotiate partnership goals and expectations, and mapped out the events we would agree to go to, and confirmed they had a RS division. We agreed a minimum of 6 performances would make the project worthwhile. The complete rules are published on the risingstartour.com website. They are intended to encourage competitors to be true to WCS while still providing leeway to explore different styles and skills. The committee constantly monitors the effectiveness of the rules throughout the season in order to re-evaluate and adjust them as needed for the next season. The Tour has no gender limitations, but leaves this restriction up to the discretion of each event. Lifts are allowed, AND up to 5 weight support moves are allowed. Lifts and rides are NOT considered weight support moves. There is no limit on how long AllStars are eligible to compete. Breakaways are permitted up to 8 counts, and separate entrances up to 32 counts. 1. Going to at least 5 RST events. 2. Being in the ballroom to watch and support the Rising Star division. 3. Teach RS competitors about the camaraderie in the division. 4. If attending the Open, go and wish everyone luck in the green room, and possibly try to set up an unofficial group practice and critique session at the Open. 5. Ask events you plan to attend if you can set up a Rising Star Q&A session so people can ask questions and learn about how to start the routine process in Rising Star. 6. Post and tag RS photos on social media whenever possible. Below 70%, judge’s choice to either issue a Swing Violation Warning (SVW) with no drop in placement OR Swing Violation 1 (SV1) with a drop of 1 placement. Below 60%, judge will issue a Swing Violation 2 (SV2) with a drop of 3 placements. Below 50%, judge will issue a Swing Violation 3 (SV3) with a drop of 10 placements. 3. At the US Open 2019, there will be 2 divisions: Rising Classic Star and Rising Showcase Star. The rules for each division will mirror the rules used in their respective NASDE divisions. 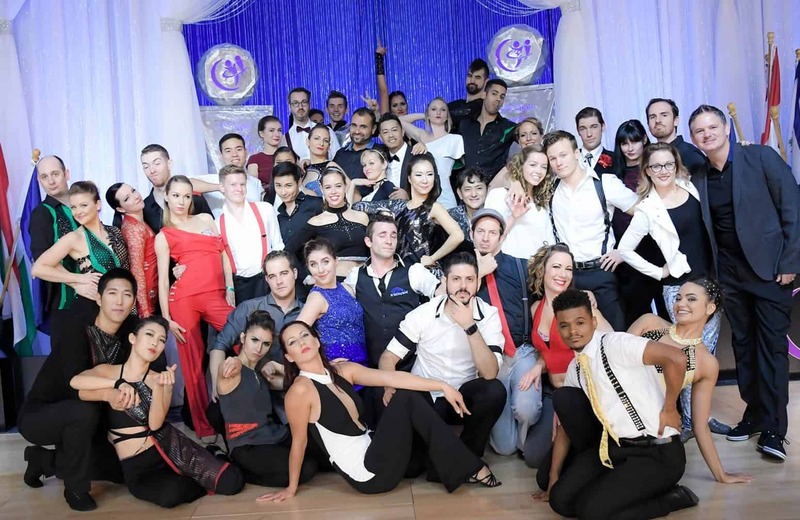 Throughout the year, competitors will compete in blended RS divisions as usual. If you have ambitions to go to the Open, plan in advance to make your routine comply with your chosen division. RST points at the Open will be awarded to each RS division. 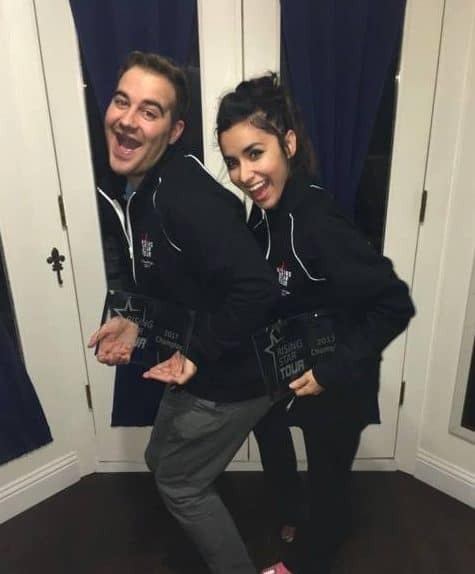 The top 2 placing couples in each RS division will graduate to NASDE Showcase/Classic. CC: What’s it like backstage? Do you get nervous? How do you deal with it? 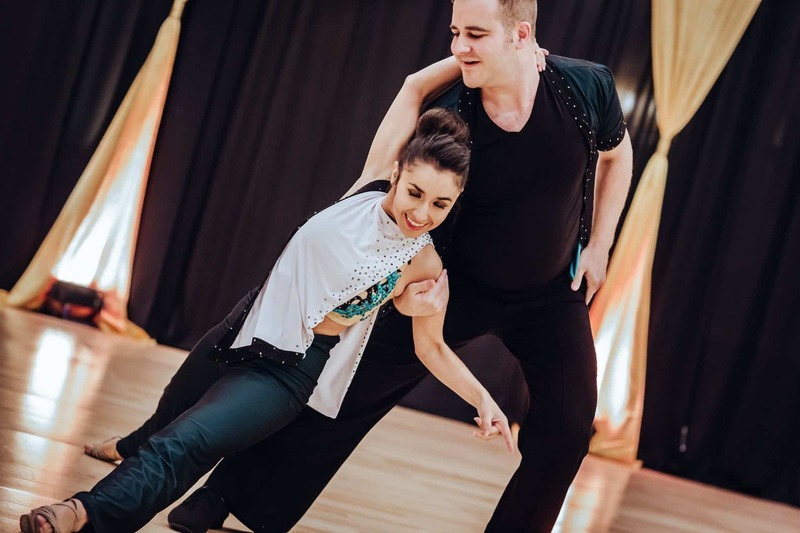 A&K: Kali will forever have nerves, and she was told when she was a competitive figure skater to take that nervous energy and harness it to performance energy. I on the other hand am hit or miss but I like to be nervous because I have learned if I’m not nervous I’m complacent and that is the enemy of success. 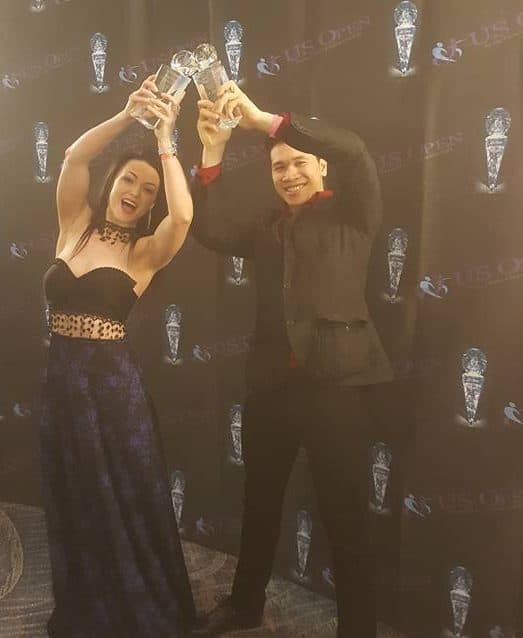 Fun Story: I stopped getting nervous after we gave the worst imaginable performance at a wedding in our first year, which ended a chaotic 3 mins of forgotten choreo with Alpha’s black pants splitting and exposing his white underwear in the final pose of the routine, as he dropped me out of a neck hold. Ever since “The Wedding”, we religiously over-prepare for everything. With that much prep, there’s no reason to be nervous, because if something goes wrong, it wouldn’t be for lack of work ethic, so why worry? Also, the nightmare wedding performance just turned out to be a great story, so either we nail this performance, or we add to our growing vault of hilarious fail stories. Either way, I am excited! What rules do events and chief judges need to know? The complete rules are published on the risingstartour.com website. They are intended to ensure a supportive, consistent competition experience for the competitors. Events that are on the tour do not need to pay a membership fee. Contact us for an event membership package. 7 judges are required for the division and the CJ should encourage them to take written feedback notes on each couple. Events should not award 1st place prize money that is more than that of Classic/Showcase, and the total prize pool should not exceed $1000 and not be less than $100 per couple registered. Last placing couple should at least win their registration fee back. Non-cash prizes (passes, services, swag, etc) are also encouraged. 1. Events with a RS division with <8 couples can opt to pay out to 3rd place. Contests with 8+ couples must payout to 5th place. 2. Events with a RS division with <10 couples can opt to have only 5 judges plus a referee. Divisions with 10+ couples must have 7 judges plus a referee. 3. There are now limits on how many events can be designated Tour events within each geographic zone. This only impacts potential new events wanting to apply. Please see the website for details. CC: You both graduated into the Showcase division. How did that transition go? Did you feel that RS prepared you? A&K: Yes, I think Rising Star prepared us well. I also felt warmly welcomed coming into Showcase – we were accepted and everyone supported us. A&J: Yes absolutely! We would never have done Showcase without the easy on-ramp of RS to build our experience and confidence. I (Jen) was very glad Alpha convinced me to stay in RS another year, which we used to train lifts. In year 3, the transition felt natural. I (Alpha) felt like I had trained enough, physically strong enough, agile enough, mentally prepared and communally accepted enough to make the jump. We were warmly welcomed by the Showcase vets, actively encouraged by the panel judges, and supported by our RS cohort. It was nice to have familiar “rivalries” with peers who had also recently entered the division. The Committee felt it was important for Rising Star competitors to be awarded prizes that assist in their development. We felt the cash prizes should be reserved for the professional divisions, so they have something to look forward to. Professional services: business cards, logo design, & photo shoot. This year, the 2nd-5th placing couples will also win sponsored prize packages. 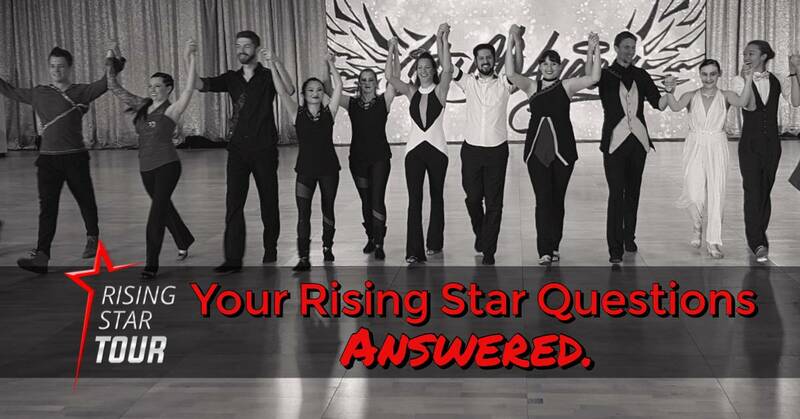 CC: How has competing in Rising Star helped your dancing/dance career? A&K: Rising Star taught me work ethic and dedication. Anyone who does this casually will soon find out if they truly want to do this long term or as a hobby. Routines are fun but hard work, and I dont know if I would have learned that without Rising Star. I also feel that the RS family spirit amongst competitors is pretty special and we are proud to support each other in all aspects of WCS. The prizes helped a LOT! 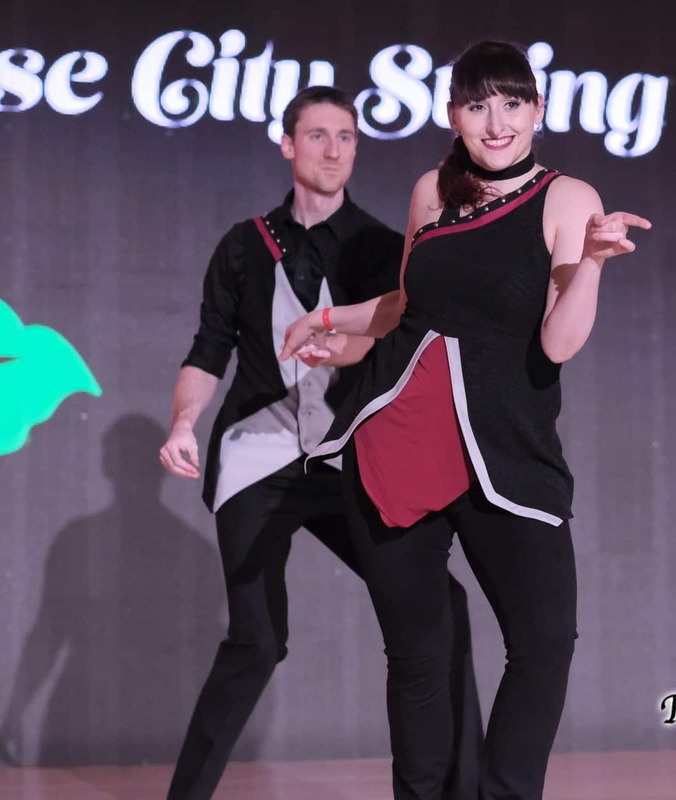 We have been able to take advantage of almost all of them, which has been beyond helpful for our dancing and teaching. A&J: RS helped us understand how to perform better and move better. Prior to choreo, Jen had inconsistent J&J success, but then graduated from Advanced to AllStar very quickly while working on the first routine. Alpha became worse at J&J because time spent on choreo caused (me) to neglect improv training, so (I) had some catching up to do. Once we started getting some success in RS, events started inviting us to perform in exchange for event passes, which laid the foundation relationships with EDs who now hire us to teach on their staff. Guess what? I made a thing just for you! It’s a handy-dandy 4-page cheatsheet that explains exactly this! Will we see you at the US Open?